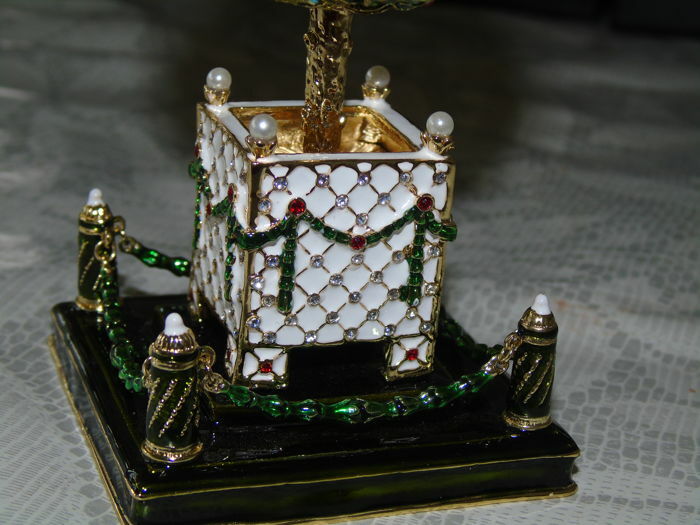 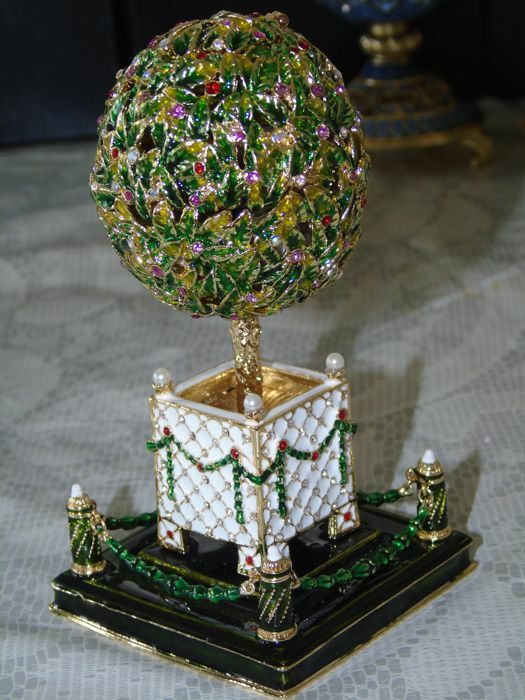 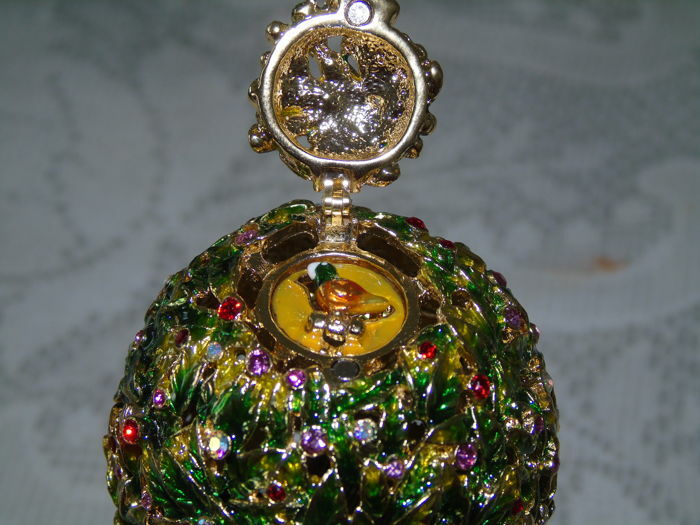 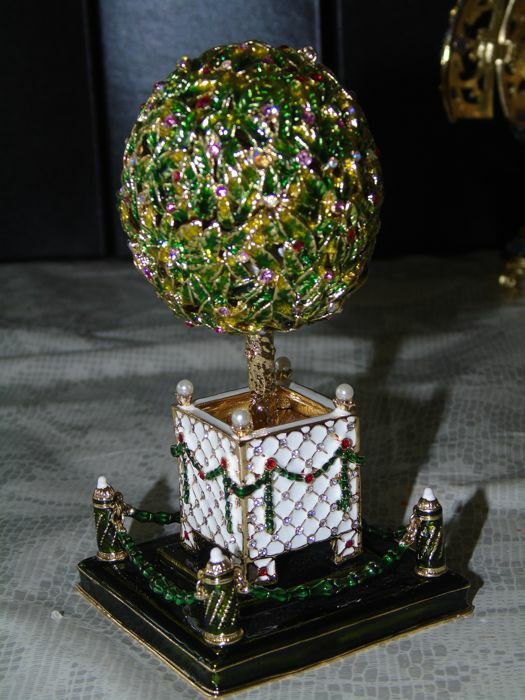 This laurel tree music box is also known as an orange tree in the style of Faberge. 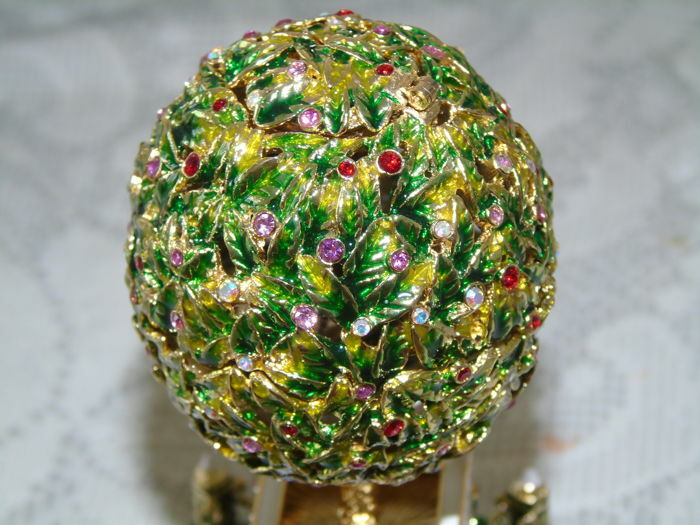 The Laurel tree (or orange tree) is a bejewelled egg, one of the fifty-two Easter eggs crafted by Carl Faberge for the Russian imperial family. 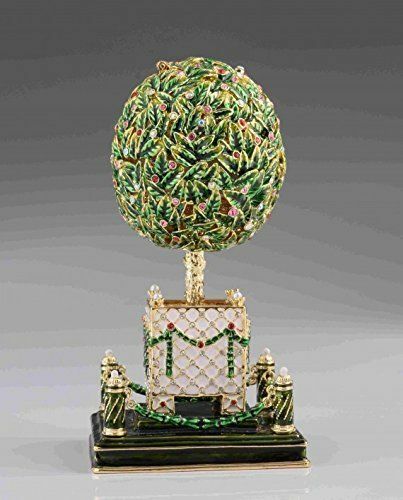 The egg was made in 1911 by order of Nicholas II, who presented it to his mother, Maria Feodorovna, as a traditional gift for Easter in 1911. 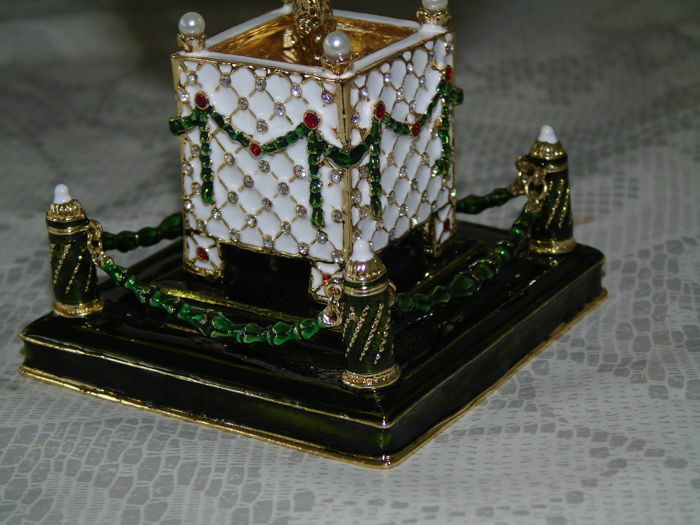 It was received by the Monetary Fund of the People's Commissariat in 1927. 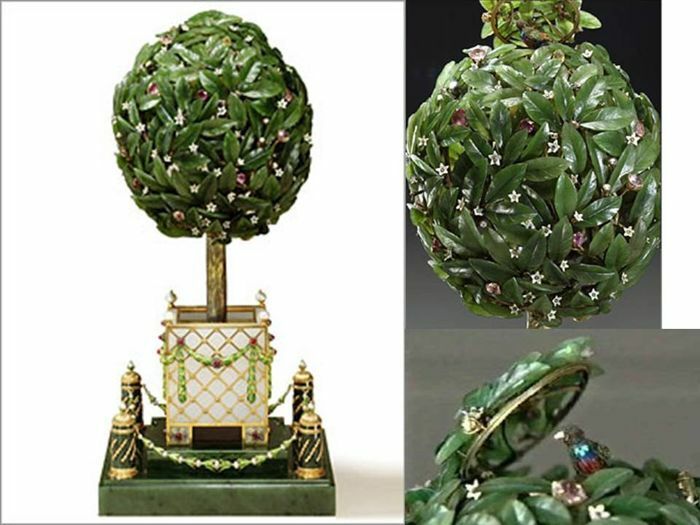 Currently, these jewels are on permanent exhibition at the Faberge museum in St. Petersburg, located in the Palace of the Naryshkin-Shuvalovs.